Kendra was born and raised in farming community in Northern BC and graduated from the University of Alberta in 1993. She worked in private practice physiotherapy in AB after graduation and moved with her husband and three boys to the Comox Valley in 2010. She has been the owner of Ascent Physiotherapy since June of 2010 and has been actively enjoying all the great lifestyle and nature opportunities that Vancouver Island has to offer. Orthopedic physical therapy has been her main area of interest and spinal mobilizations, manipulations, and intramuscular needling techniques are used extensively in her hands-on treatment approach. Gena Van Rooyen is the sole physiotherapist at Full Life Physiotherapy in Cambridge, Ontario. Gena previously worked at at Grand River Sports Medicine in Cambridge from 2002-2013. She is a graduate of the Master of Science (Physiotherapy) program at McMaster University (2002). She obtained an Honours Bachelor of Science (Kinesiology) from Laurentian University in 1997. Gena is committed to continuing education in the areas of manual therapy and therapeutic exercise. She received her Certificate of Advanced Manual and Manipulative Physiotherapy from the Canadian Physiotherapy Association (Orthopaedic Division) in 2009. Gena is also trained and certified in Gunn Intramuscular Stimulation (GunnIMS). Gena has long been involved in athletics, and currently enjoys yoga, hiking and canoeing. She believes in the importance of health promotion as it relates to injury and disease prevention. Her main areas of interest are the pelvis, lumbar spine, shoulder and cervical spine. She has enjoyed working with injured athletes since 2002. She is also a strong proponent of core stabilization as it relates to exercise and performance. Myles Willis BMR-PT, MClSc(MT), FCAMPT, CAFCIVestibular and Concussion TherapistMyles graduated from the University of Manitoba in 2010 with a degree in Bachelors of Medical Rehabilitation-Physical Therapy. 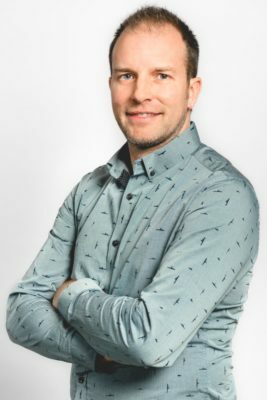 Myles has a strong passion for continuing education, which is evident in the many courses he has taken since graduation, one of which is completing his certification in acupuncture in 2010 from the Acupuncture Foundation of Canada Institute. Myles’ passion has taken him near and far and he has gone to complete a Clinical Masters of Science in Manipulative Therapy from the University of Western Ontario in London Ontario in 2015 and a Certification in Vestibular Rehabilitation from the Emory University of Medicine in Atlanta, Georgia. Myles thoroughly enjoys treating patients suffering from concussions, vertigo, dizziness and balance dysfunction as well as incorporating manual and manipulative therapy into his treatment regime. In addition, he has extensive training in the management of concussions and rehabilitation of the runner. Myles understands that every patient is unique – this allows him to use his wealth of knowledge and skill set to his full advantage for each and every patient helping them achieve their goals and restoring them to their best self. When he’s not taking courses or studying, Myles assists with instructing level courses through the Orthopedic Division, has put in countless hours to have his work published in the Journal of Physical Therapy and Sport and has also provided his talent and skills to numerous hockey and football teams providing on and off field assessments and treatments. Myles was born and raised on a farm just outside of Stonewall Manitoba. Outside of the clinic he loves to maintain a very active lifestyle by playing hockey, running, cycling and working out at the gym. Nishanth Kumar graduated form McGill University in 2007 with a BSc. in Physical Therapy. Upon graduation he began a 2 year period working in a private clinic setting (Concordia Physio Sport Laval) as well as on field working with the U-18 and Senior AAA Lakers soccer teams. In 2009 he moved to a specialized private clinic (Catalyst Sante) where he was given the opportunity to work with a diverse clientele including a number of amateur and professional athletes. During this time he participated in a number of courses and obtained certificates in Sahrmann (level 1), McKenzie (levels A-C), ART (full body certified), and MAT jump-start. In 2013 he obtained a Masters of Clinical Science (MClSc) degree from Western University which specialized in the field of manipulative therapy and a heavy focus on advanced orthopedics. He currently continues to works at Catalyst Sante while playing a role in education and research along with his clinical work. John is a graduate of UBC where he obtained his physiotherapy degree in 1989. With over 25 years of private practice experience, John provides the vision and leadership that has allowed Kamloops Physiotherapy and Sports Injury Center to become the largest private physiotherapy clinic in Kamloops. Through his commitment to ongoing training John achieves his goal of providing optimal patient care. Since completing the Diploma of Advanced Manual and Manipulative Therapy in 1996, John has gone on to take specialized training in the treatment of acute and chronic spinal pain, spinal instability, and impaired neural mobility. Other skills and interest areas include treatment of temporomandibular joint (TMJ) dysfunction and balance and dizziness disorders including vestibular rehabilitation. In 2005 John trained in the use of Rehabilitative Ultrasound Imaging to visualize deep core muscle activity. In 2006 John completed the training to perform dry needling of myofascial trigger points also known as Intramuscular Stimulation (IMS). To further expand the skills and services he has to offer his patients, John completed certification in Neuro-Anatomical Acupuncture with the Acupuncture Foundation of Canada Institute in 2009/2010. John balances his work at the clinic with his family life with Karen and their twin daughters Kate and Tess and his passion for cycling, canoeing, and playing music. John is on a temporary sabbatical from treating patients in 2019 as he focusses on some clionic management and education projects. John can recommend assessment and treatment with one of the four other FCAMPT members working within Kamloops Physiotherapy and Sports Injury Centre. Renee Poloprutsky graduated with distinction from the University of Saskatchewan in 1995 with a Bachelor of Science in Physical Therapy. After graduation, Renee worked two years in hospital settings in both the United States and Canada, treating both neurological and orthopaedic conditions. 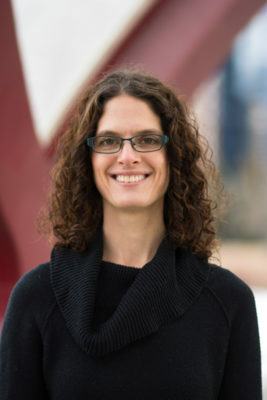 Upon moving to Calgary in 1997, she moved into an outpatient setting, where she has treated a variety of conditions including sport, work and motor vehicle related injuries. She also has taught spine stabilization classes. Since graduation, she has completed many post-graduate courses leading to her current status as a Fellow of the Canadian Academy of Manipulative Therapy. In November 2000, she completed her certification in Intramuscular Stimulation. Her treatment approach balances education, exercise and manual therapy techniques. Susan Wakeley (BScPT, FCAMPT, CAFCI) graduated from the University of Western Ontario in 1997. Upon graduation, she accepted a position with the Detroit Medical Center in Detroit, Michigan. This large teaching hospital system afforded her the opportunity to learn in a wide variety of hospital-based rehabilitation settings. These included: acute care, in-patient and out-patient rehabilitation departments, neurological and orthopaedic settings for adult and pediatric populations. Since 2006, she has worked in the private setting in Windsor, Stratford, Waterloo and Milton, Ontario. Although, she has taken a multitude of continuing education courses, Susan began to focus on orthopaedic and sports injury education. She completed her certification from the Acupuncture Foundation of Canada Institute in 2008 and FCAMPT certification from the Canadian Academy of Manipulative Therapy in 2011. Most recently, Susan has completed her Integrative Dry Needling Certification. Susannah Britnell, a registered physiotherapist, graduated from Manchester University, England, with a BSc Honours Degree in Physiotherapy in 1997. She has worked in private and public practice in the UK and Canada and received her Advanced Diploma of Manual and Manipulative Therapy in 2001. Susannah has completed postgraduate courses in orthopaedics, pelvic health and persistent pain and currently works at Urban Healing, treating orthopaedic concerns, pelvic floor dysfunction and persistent pain. Susannah also works on occasion at BC Women\\\’s Hospital and at the Centre for Pelvic Pain & Endometriosis. She is a guest lecturer of Obstetrics in the Master of Physiotherapy program at the University of British Columbia. Susannah co-developed the Rost Therapy website, Rost Moves Mamas app and the Rost Therapy PGP online and practical courses. Susannah teaches Rost Therapy courses on pelvic girdle pain to physiotherapists, and is also a co-instructor and lab assistant for Pelvic Health Solutions. Andrea grew up in Thornbury, Ontario. She moved out west and completed her university education at the University of Alberta. She worked at the Lloydminster hospital for the first two years of her career and did a lot of sports physiotherapy, travelling with the Jr. A hockey team as well as the high school football and rugby teams. She has provided sports coverage for the Alberta and Saskatchewan summer games and the World Police Fire Games in Calgary. She then moved to private practice and joined CBI Health in Saskatoon. Once working in the private practice world, she started her manual therapy studies. 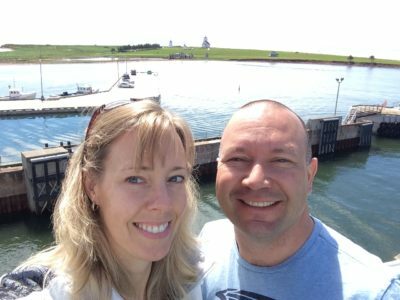 Feeling the call back to her family, Andrea returned to Lloydminster and started her own private practice, Alta-Sask Wellness. Since opening in 2000, this clinic has grown from a single therapist clinic to a multi site organization with a multidisciplinary approach. Andrea enjoys being active, seeing new parts of the world and spending time with family and friends. During 25 years of clinical work, I have gained vast experience in the field of sports and orthopaedic physiotherapy including work rehabilitation. I spent many years travelling internationally with the Women’s National Field Hockey Team, Rowing Canada and Triathlon Canada. I was a member of the Health Care Team for the 1998 Commonwealth Games and the 2011 and 2015 Pan American Games. Other field experience includes host medical at the 2010 Vancouver Winter Olympics along with many years with provincial and club rugby and numerous other local sporting events. 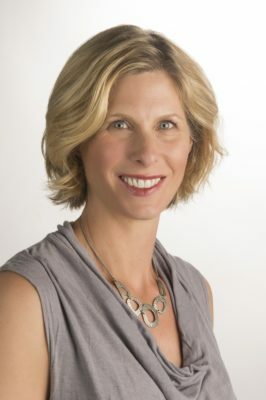 I have pursued many post graduate clinical courses and thus have a wide array of clinical expertise including spinal core stabilization, shoulder rehabilitation and functional movement screening and most recently am a graduate of Dr. Linda Joy Lee’s ConnectTherapy Series.